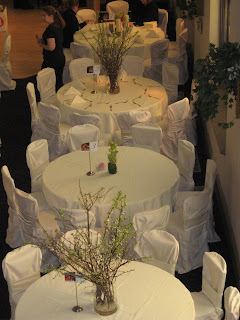 Here are some springy pictures of a wedding we did at 9th Street Abbey in Soulard. 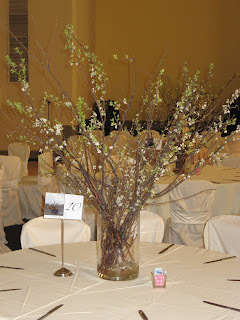 The wedding was on April 26th, when the cherry blossoms were in full bloom!! These are shots of the whole room from the balcony above. 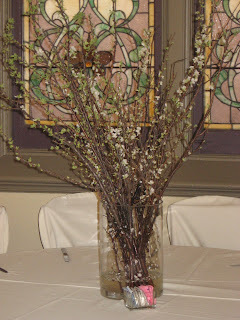 Two different arrangements were used to decorate the guest tables. 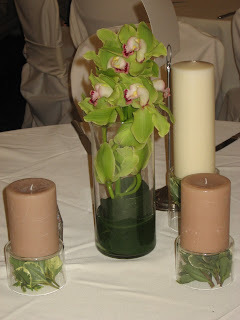 One was all cherry blossom branches and the other was a submerged green cymbidium orchid with the bride’s candles. 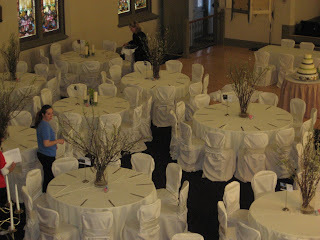 The overall look of the room showed the bride’s style while it complimented the historic Abbey.